At 09:10, Tom Hukins shares his enthusiasm for Catmandu! Given these tools to import and export and even transform structured data, can this be extended to unstructured data? In institutional repositories like LibreCat we would like to manage metadata records and binary content (for example PDF files related to the metadata). Catmandu 1.06 introduces the Catmandu::FileStore as an extension to the already existing Catmandu::Store to manage binary content. A Catmandu::FileStore is a Catmandu::Store where each Catmandu::Bag acts as a “container” or a “folder” that can contain zero or more records describing File content. The files records themselves contain pointers to a backend storage implementation capable of serialising and streaming binary files. Out of the box, one Catmandu::FileStore implementation is available Catmandu::Store::File::Simple, or short File::Simple, which stores files in a directory. In the command above: /tmp/myfile.pdf is the file up be uploaded to the File::Store. File::Simple is the name of the File::Store implementation which requires one mandatory parameter, --root /data which is the root directory where all files are stored. The--bag 1234 is the “container” or “folder” which contains the uploaded files (with a numeric identifier 1234). And the --id myfile.pdf is the identifier for the new created file record. We envision in Catmandu that many implementations of FileStores can be created to be able to store files in GitHub, BagIts, Fedora Commons and more backends. Using the Catmandu::Plugin::SideCar Catmandu::FileStore-s and Catmandu::Store-s can be combined as one endpoint. Using Catmandu::Store::Multi and Catmandu::Store::File::Multi many different implementations of Stores and FileStores can be combined. This is a short introduction, but I hope you will experiment a bit with the new functionality and provide feedback to our project. I was last week at the ELAG 2016 conference in Copenhagen and attended the excellent workshop by Christina Harlow of Cornell University on migrating digital collections metadata to RDF and Fedora4. One of the important steps required to migrate and model data to RDF is understanding what your data is about. Probably old systems need to be converted for which little or no documentation is available. Instead of manually processing large XML or MARC dumps, tools like metadata breakers can be used to find out which fields are available in the legacy system and how they are used. Mark Phillips of the University of North Texas wrote recently in Code4Lib a very inspiring article how this could be done in Python. In this blog post I’ll demonstrate how this can be done using a new Catmandu tool: Catmandu::Breaker. A breaker is a command that transforms data into a line format that can be easily processed with Unix command line tools such as grep, sort, uniq, cut and many more. If you need an introduction into Unix tools for data processing please follow the examples Johan Rolschewski of Berlin State Library and I presented as an ELAG bootcamp. An record identifier: read from the _id field in the input data, or a counter when no such field is present. $ catmandu convert YAML to Breaker < data.yaml | grep "institution.years"
Now all the MARC subfields are visible in the output. The last column ‘entropy’ provides a number how interesting the field is for search engines. The higher the entropy, the more uniq content can be found. I hope this tools are of some use in your projects! Catmandu 1.01 has been released today. There has been some speed improvements processing fixes due to switching from the Data::Util to the Ref::Util package which has better a support on many Perl platforms. Your JSON output will now contain the clean ‘title’ and ‘issn’ fields but also for each record a ‘my_source’ with value ‘Publisher1’ and a ‘my_date’ with value ‘2014-2015’. By using the Text::Hogan compiler full support of the mustache language is available. In this new Catmandu version there have been also some new fix functions you might want to try out, see our Fixes Cheat Sheet for a full overview. In the example above we process an ‘input.marc’ MARC file into a ‘output.json’ JSON file with some difficult data cleaning in the ‘heave_load.fix’ Fix script. Using a single process we can reach about 97 records per second. It would take 2.8 hours to process one million records and 28 hours to process ten million records. Can we make this any faster? When you buy a computer they are all equipped with multiple processors. Using a single process, only one of these processors are used for calculations. One would get much ‘bang for the buck’ if all the processors could be used. One technique to do that is called ‘parallel processing’. The example above shows two lines: I have two cores available to do processing on my laptop. In my library we have servers which contain 4 , 8 , 16 or more processors. This means that if we could do our calculations in a smart way then our processing could be 2, 4, 8 or 16 times as fast (in principle). In the example above I ran did ‘uptime’ on one of our servers with 4 processors. It shows a load average of about 1.23 to 1.95. This means that in the last 15 minutes between 1 and 2 processors where being used and the other two did nothing. If the load average is less than the number of cores (4 in our case) it means: the server is waiting for input. If the load average is equal to the number of cores it means: the server is using all the CPU power available. If the load is bigger than the number of cores, then there is more work available than can be executed by the machine, some processes need to wait. The second ingredient we need is a way to cut our input data into many parts. For instance if we have a 4 processor machine we would like to create 4 equal chunks of data to process in parallel. There are very many ways to cut your data in to many parts. I’ll show you a trick we use in at Ghent University library with help of a MongoDB installation. The ‘random()’ Fix function will be available in Catmandu 1.003 but can also be downloaded here (install it in a directory ‘lib/Catmandu/Fix’). This will will make sure that every record in your input file contains four random numbers ‘part.rand2’, ‘part.rand4′ ,’part.rand8′,’part.rand16′,’part.rand32’. This will makes it possible to chop your data into two, four, eight, sixteen or thirty-two parts depending on the number of processors you have in your machine. We are going to use these catmandu commands in a Bash script which makes use of GNU parallel run many conversions simultaneously. This example script above shows how a conversion process could run on a 2-processor machine. The lines with ‘/usr/bin/parallel’ show how GNU parallel is used to call this script with two arguments ‘0’ and ‘1’ (for the 2-processor example). In the lines with ‘catmandu export’ shows how chunks of data are read from the database and processed with the ‘heavy_load.fix’ Fix script. If you have a 32-processor machine, you would need to provide parallel an input which contains the numbers 0,1,2 to 31 and change the query to ‘part.rand32’. 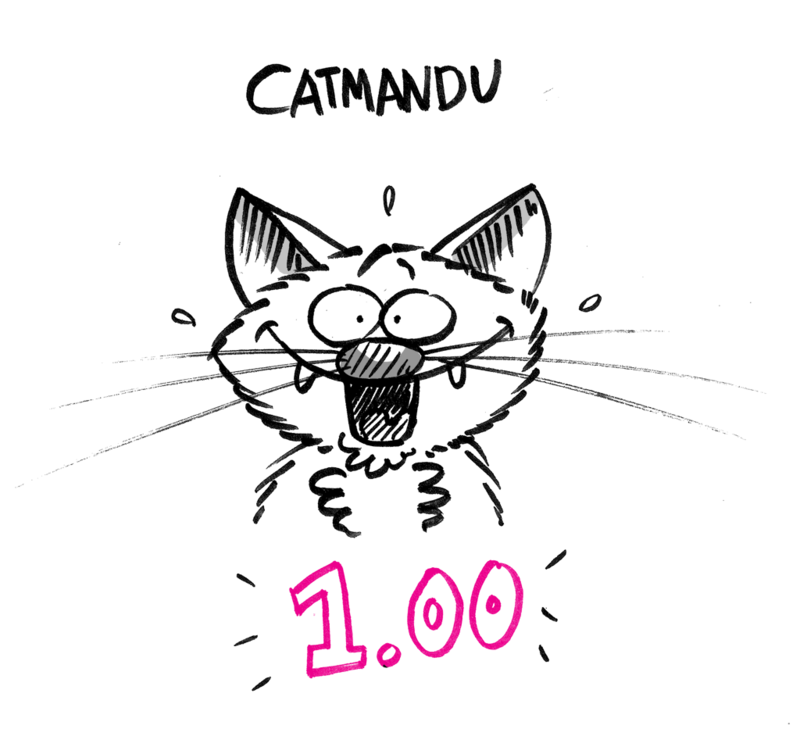 After 4 years of programming, 88 minor releases we are finally there: the release of Catmandu 1.00! We have pushed the test coverage of the code to 93.97% and added and cleaned a lot of our documentation. For the new features read our Changes file. A few important changes should be noted. Lund University Library , Ghent University Library and Bielefeld University Library to provide us a very welcome environment for open source collaboration.